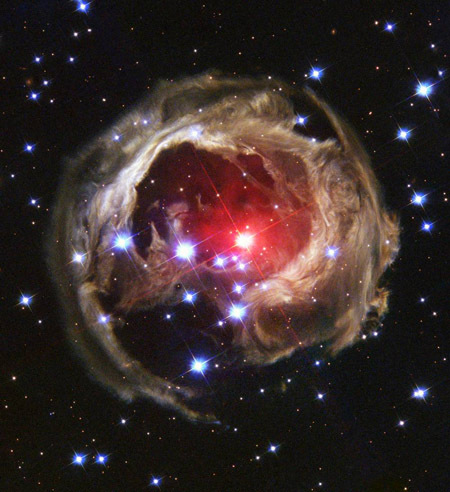 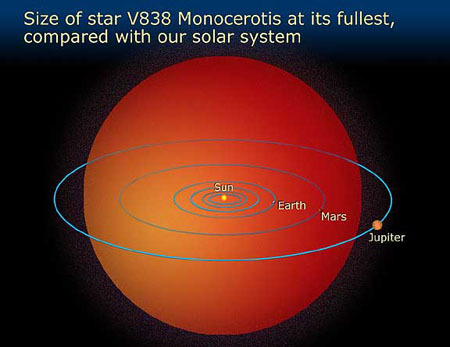 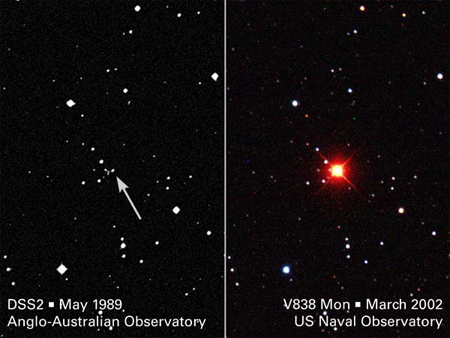 V838 is a red supergiant variable star in the constellation Monoceros. 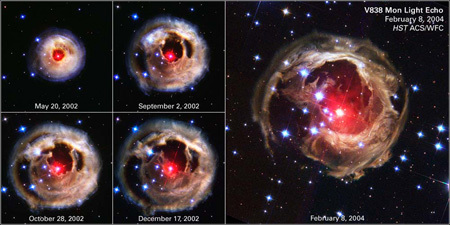 This star "pulsed" away its outer layers in what can be described as a single flash - a sudden outburst - that occurred in January 2002. 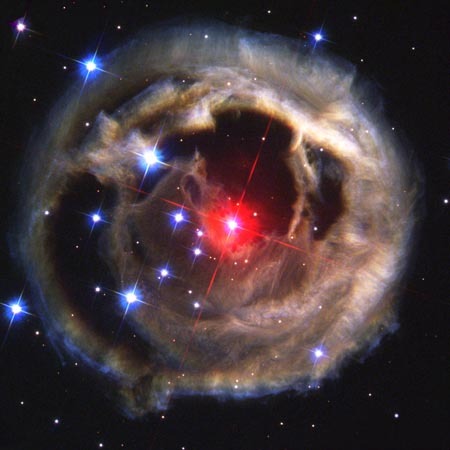 The emission of the surrounding cloud comes from the red supergiant star at the heart of this phenomenon. 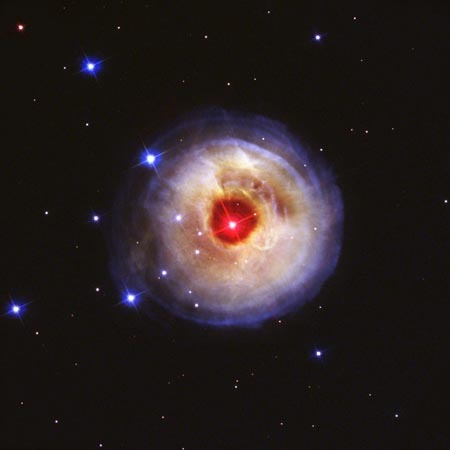 While this can resemble a supernova remnant or planetary nebula, it is actually neither one. 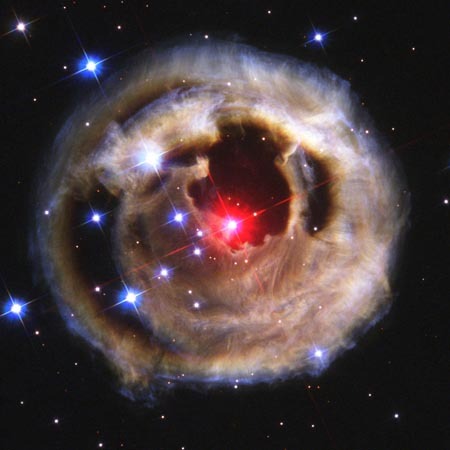 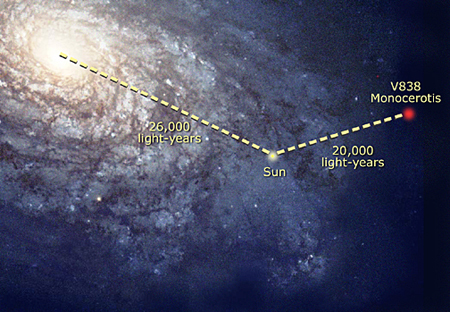 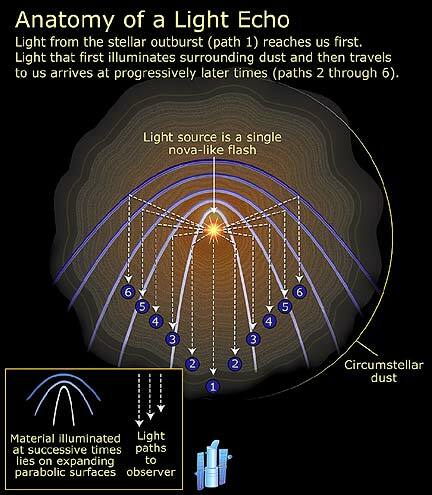 This object does not represent and end stage of stellar evolution, but just one step toward. 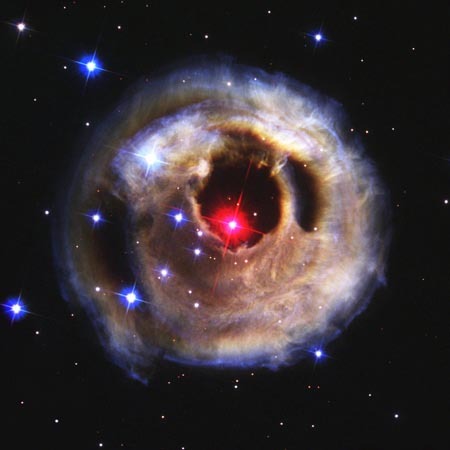 This is just the star and not the surrounding dust and gas!